The primary Swiss stock exchange, SIX, is now home to another exchange-traded product (ETP) for cryptocurrency, and this one is tracking the price of Ripple’s native XRP token. The developer of the ETP is Swiss startup Amun, the same one that developed a Bitcoin ETP in November 2018. The XRP ETP was announced last month, and it has officially launched today, making it the fourth cryptocurrency-related ETP listed on the SIX exchange. 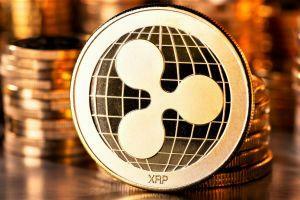 XRP joins the likes of Ethereum, Bitcoin, and a basket of crypto products called HODL5 which tracks five major cryptocurrencies (Bitcoin, XRP, Ethereum, Bitcoin Cash and Litecoin) so they make up a percentage correlating to their market share. Amun’s interest in launching the XRP ETP was speculated to be due to a recent USD 4 million seed round. This round, announced three weeks ago, was led by Graham Tuckwell, the first person to set up an exchange-traded fund which tracked the valuation of gold. "We are interested in creating an easy, safe, and regulated way professional investors can access the crypto asset class. 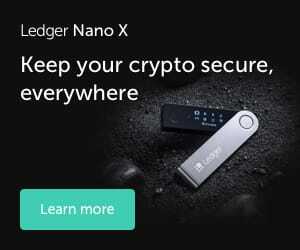 We hope this adds a positive financial on-ramp for many who can’t easily access this burgeoning asset class," Amun CEO Hany Rashwan told Cryptonews.com. "We are focused on the crypto assets eligible to be in our basket which would include remaining BCH, LTC, XLM, and EOS. We plan to release them this year pending enough commercial demand," he added. All ETPs listed on SIX must be collateralized, according to its official rules and guidelines, although they do not have to be approved and monitored by the Federal Financial Market Supervisory Authority (FINMA), Switzerland’s market regulator. The popularity of crypto-related ETPs on the SIX exchange is undeniable. 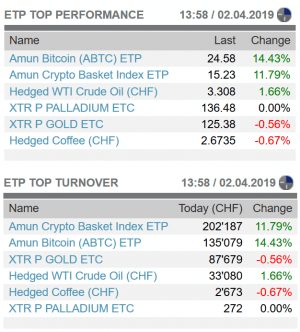 As of the time of writing, the Amun Crypto Basket Index ETP is the product with the highest turnover in Swiss francs, followed by the Amun Bitcoin ETP. Only then do gold and palladium ETPs come into play. The popularity of the former has been on the rise since the beginning of February with some slight dips, after a whole month of downward trends. 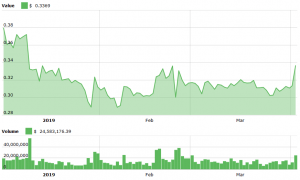 Meanwhile, the Bitcoin ETP has not had too many issues with dips, its general trend following an upward slope that is currently at its all-time high. ETPs represent a type of security that is priced derivatively and trades intraday on a national securities exchange. Investment tools such as a commodity, a currency, a share price, or an interest rate are parts of an ETP. ETPs can reportedly be actively managed funds, including exchange-traded funds (ETFs), and others. This is a passive investment, which sets it apart from ETFs. As reported, the Amun ETP is conceptually similar to an ETF in the sense that it allows both institutional investors and accredited retail traders to invest in digital assets without the necessity of custodians and dealing with additional regulatory hurdles.